Are you a music lover? Well, you’re in luck! There are a wide variety of performers and acts coming to the Fort Lauderdale and West Palm Beach area. This August and September, check out these concerts at Revolution Live and the Coral Sky Amphitheater! On Friday, August 24th, Lupe Fiasco will be performing at Revolution Live. Lupe Fiasco is a Chicago native and has had four consecutive No. 1 albums on the Billboard Top Rap Albums chart. His performances are a mixture of new, old and unreleased material. On Saturday, September 22nd, Noah Cyrus will be performing at Revolution Live in Fort Lauderdale. This is Cyrus’s first headlining tour. She’ll be performing songs along with her first hit, Make Me (Cry). Andy Grammer will be bringing his The Good Parts Tour to Fort Lauderdale on Sunday, September 30th. This concert is one of 27 concerts he has scheduled this year. Country lovers are in for a treat when Little Big Town and Miranda Lambert team up for The Bandwagon Tour on Saturday, August 4th at Coral Sky Amphitheatre. This concert is described as a tie between folk, bluegrass and country music. Wiz Khalifa and Rae Sremmurd will be joined on their tour with lil skies and O.T. Genasis on Friday August 17th at the Coral Sky Ampitheatre. Wiz Khalifa will be performing songs from his most recent album, Rolling Papers, as well as some from his previous alums. This is a hot show, so order your ticket today! On Wednesday, August 29th, Lady Antebellum and Darius Rucker will be performing at the Coral Sky Amphitheatre. This concert is part of their Summer Plays On Tour and will also feature Russell Dickerson. Both Lady Antebellum and Darius Rucker will be performing songs from their most recent albums. 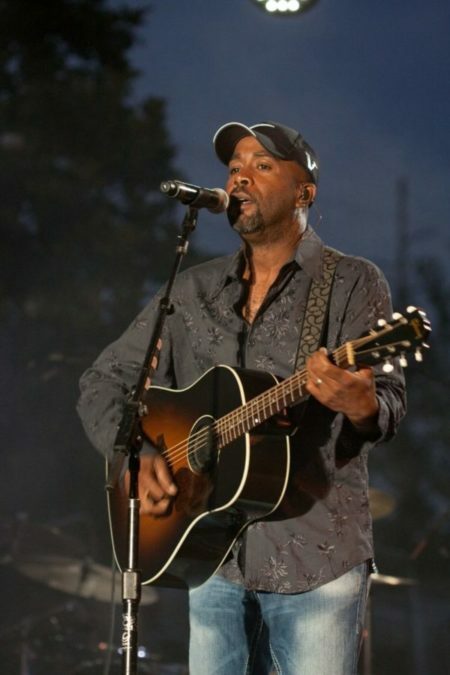 Before going solo, Darius Rucker already had a successful career at the lead singer of rock band Hootie & The Blowfish. We strive to support the events surrounding our local storage facilities. Lighthouse Self Storage has storage facilities in the West Palm Beach and Fort Lauderdale area. Our storage facilities have a variety of sizes of storage units, including the 5×5, 5×10 and 10×10 storage unit. Our storage facilities also feature temperature controlled storage units for the storage of more sensitive items. Visit one of our West Palm Beach and Fort Lauderdale storage facilities today!